The following is a hilarious interchange that happened in the Limerick Police Court on 30 December 1856. 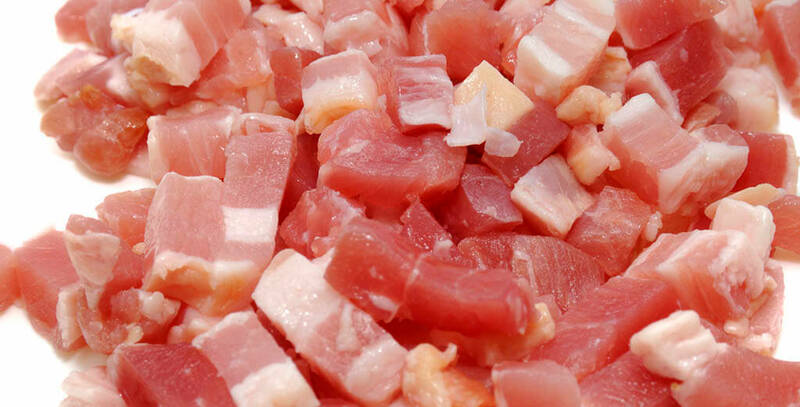 John O’Keefe, a bacon vendor in the city, charged a countrywoman from Murroe with coming into his shop and under the pretence of making a purchase getting him to cut up his bacon into little pieces, and hen walking off, leaving the article in bits and scraps upon his hands. The woman from Murroe who came into court attended by five other women from the same place, all of whom got upon the witness’s table, said that she asked Mr.O’Keefe to give her four lbs. of bacon only. but instead of adhering to her order cut five lbs., and that quantity she did not want, besides she required the bacon which he tolerably fat in quality, whereas the bacon which he would have given her had no more fat in quality, whereas the bacon which he would have given her had no more fat on it than had a freshly polished poker. It was true he cut the bacon down to four lbs., but there was too much lean, and she of course when she could not get what she wanted left the shop. The complainant here produced a large piece of bacon, which he said was the disputed cut and to an epicure in fat its very appearance could not be other than both pleasing and inviting , for it was most lusciously fat, in fact, with the exception of a few gentle streaks of lean interspersed throughout, it was a lump of fat, and the Magistrates on looking at it said that they could not see how she could object to it, from its appearance it seemed to be all that she required. Here the rest of the women commenced a kind of a Dutch medley. They all spoke together –some in Irish, others in English and Irish, and such a Babel was kicked up that the Justices were places in a fix, but seeing that there was no injustice done, as Mr. O’Keefe had “saved his bacon”– and that all parties stood in status quo, dismissed the case, upon which Mr.O’Keefe packed up his nugget of fat, and tucking it under his arm left court, followed by the women from Murroe, who kept chattering to each other in a lingua franca which only themselves or the initiated could understand.